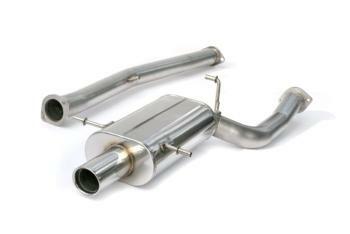 COBB Tuning Exhaust - Cat Back - Dezod Motorsports Inc - Home of the automotive performance enthusiast since 2002. I got this exhaust for my 04 WRX. amd this exhaust is awesome! The fit was perfect and it sounded sick. I would recommend ths Cobb Tuning exhaust. Thanks Breakthru Motorsports for the great support and fast shipping! I had a couple of fitment issues because I have a hitch, but that was an easy fix. I love this exhaust and recommend it to anyone looking for great sound….